Despite the weather and shortening daylight there is still plenty of interest and colour to enjoy in the garden. 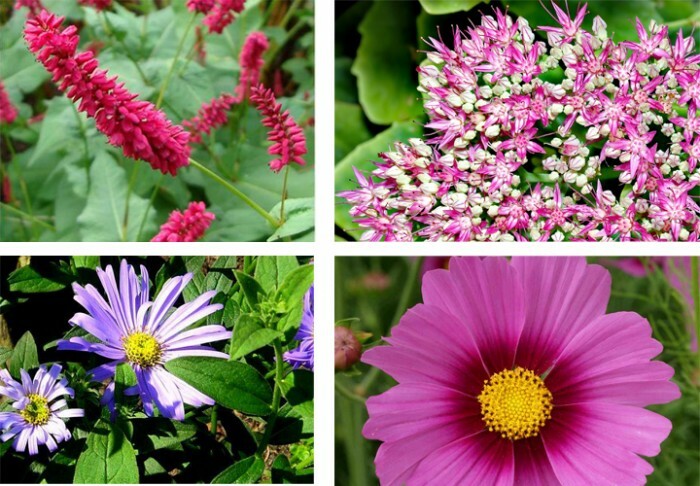 The pink Sedum [spectabile], Cosmos, Aster [frikartii] and Persicaria [amplexicaulis] are still to be spied as you walk along the herbaceous border. Late summer colour – Persicaria, Sedum, Aster and Cosmos. A visit to the Summer garden reveals plants from tropical regions such as the Mediterranean and East Africa. The Castor oil plant – [Ricinus Communis] is indigenous to such areas of the world. 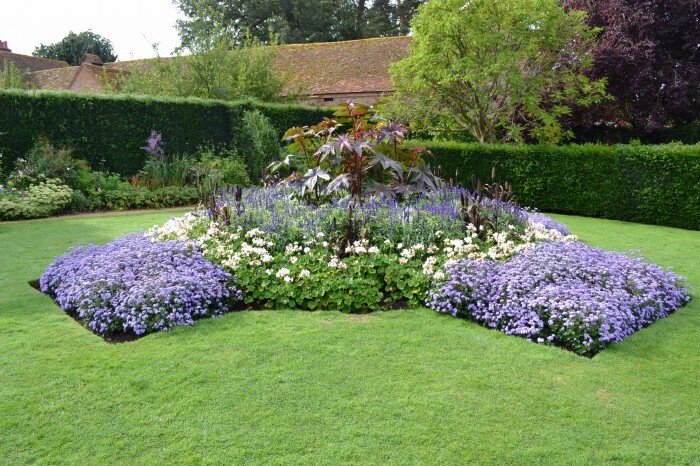 Surrounding planting includes Pennisetum [Purple Baron]. This genus of grasses is native to tropical and temperate regions of the world such as Australia, India and even the Galapagos islands. Central borders in the Summer garden – Castor oil plant [Ricinus communis] – centre stage.